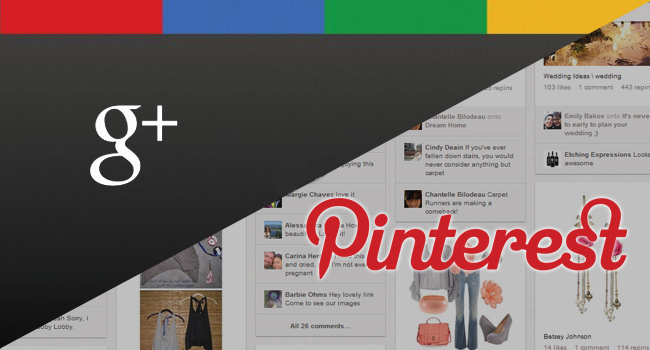 As the two newest social networks, Google+ and Pinterest have gotten a lot of attention recently. Each has experienced rapid growth and adoption, leaving marketers wondering how to effectively leverage each new platform for business. So which — if either — are worth a marketer’s time? And how do you decide? I personally would like to vote for Pinterest which you can visualise your content more efficiently than others. See the below 35 Statistics That Fuel the Battle Between Pinterest and Google+. Tags: active users, average user spent per minute, Battle, circle, comScore, eMarketer, Facebook, google, growth rate, pin, Pinboard, Pinterest, social marketing, social media, social networking, software developers, user numbers. Are you ready for a Facebook browser? As we are curious for Facebook Mobile nowadays, a web browser from Facebook might be fun too. It can really happen soon, if Mark Zuckerberg decides it one night, he can buy it before asking CFO or Facebook Board. That’s exactly what could be on the way soon, according to one report from Mashable today. A “trusted source” that Facebook wants to buy Opera Software — manufacturers of the Opera web browser, which claims more than 200 million users worldwide. The Facebook browser would include default menu bar plugins, further permeating Facebook into users’ general web experience, according to the report. A custom browser would be a significant step toward Facebook becoming your web, as opposed to just an Internet site you visit and service you use. Opera’s mobile browser has received strong reviews online, meaning a functional Facebook browser using it could be even more powerful. Facebook has struggled to penetrate mobile use as deeply as many think it should be able to — and will need to in order to sustain long-term growth. A Facebook browser would also bolster the newly public company’s competition with Google. Google Chrome recently became the web’s most-used browser, but Facebook’s gigantic user base of more than 900 million people would present a potential serious threat down the line. It would be interesting to see Facebook try to battle Google for browser dominance as Google+ struggles to play catchup in social networking. Tags: 900 million, Battle, browsing market, competition, Facebook, Facebook web browser, Google Crome, Opera web browser, social networking. We’ve entered into a new era in how we interact with our customers. It’s no longer enough that a strong marketing initiative will turn consumers into customers. If brands want to stay relevant in the digital era, they have no choice but to adapt. Social media is more than media – it’s a cultural shift. While conventional wisdom holds that people don’t want businesses to encroach on their personal lives, that’s far from the truth. Many customers today are utilizing multiple outlets, not just Facebook and Twitter, to ask questions, give feedback and share and connect with others, and are personalizing their experiences whenever possible. 40% of consumers have become a fan of a product or service on social networks, 26% of consumers have followed a brand on Twitter, and 73% of consumers have posted a product or service review on websites like Amazon or Yelp. That’s why today 80% of small businesses are using social media to handle their marketing and sales. But just being on social media isn’t enough. For businesses to digitally connect with today’s customer, they must not only stand for something but also do something. To have an impact, businesses have to find other ways to connect with customers to turn them from passive reactors to advocates. One of the significant drivers in social media for businesses is engagement – using digital media to connect with people, hear what they want, what they think, how a product or service worked or how it didn’t. Think about what resonates with your audience and whether or not you’re posting “clickworthy” and compelling content that will raise awareness and get attention. The other significant driver in social media is customer service. Many consumers following brands are also customers, which is why smart businesses are using helpdesk software to solve customer’s problems and answer questions instantly. Also, some businesses like Starbucks and American Airlines offer exclusive deals and tips to their digital audiences so they can drive awareness and sales. The future of social media will offer many exciting, new opportunities for businesses to connect with their customers. That’s why today’s businesses must rethink their future strategies and shift most of their marketing efforts towards engaging with customers. No business is going to strike out by opening the lines of communication with its customers and marketing to them in a personal, caring way that makes them feel valued. Positive brand experiences creates customers, and experience not only matters to customers – it drives results to the bottom line. Tags: awareness, Business, company, consumer, customer, Digital, digital audience, exclusive offers, Facebook, Marketing, sales, social media, social media marketing, social networking, Twitter.